At the Woodworking Shows people have been asking me how the Holiday Fair turned out, and I apologize for this blog being so late. We broke down the booth the day after Christmas and then started getting ready for the Woodworking Shows and it has been non-stop ever since! Every Thursday we leave for another city, and do not get back until Monday morning, then we have to replenish the products we sold over the weekend at the show, and get them organized and shipped to the next location. 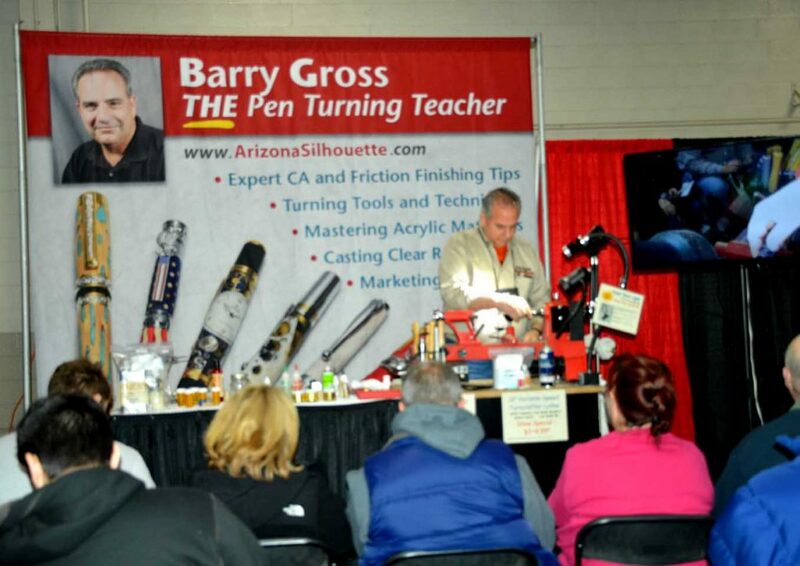 This weekend will be the 8th Woodworking show (Milwaukee) and we are pleased to see all our friends at each city! The final tally, after 42 grueling days of selling from 10 AM until 8 PM, we wound up selling 965 pens! 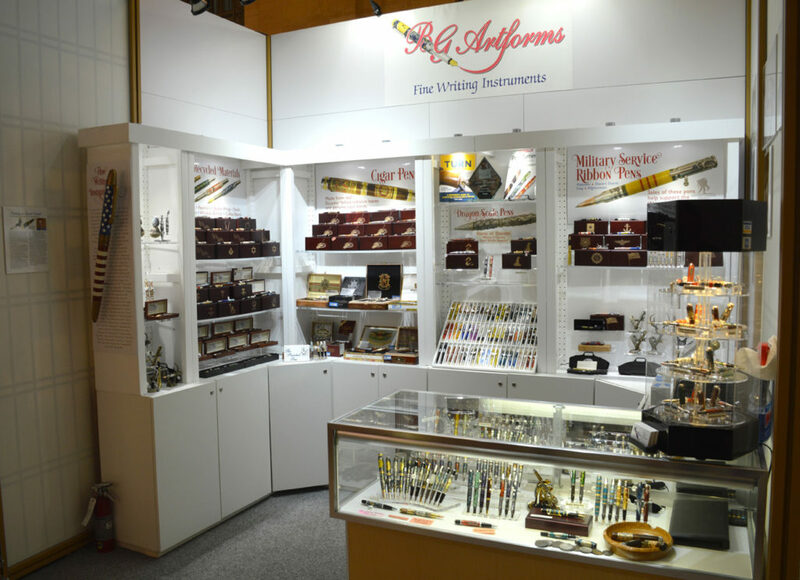 The Cigar pens with the tobacco and cigar bands wrapped around the pen tubes were still the best selling pens followed by the Kallenshaan inlay kits and watch part pens. Last year we sold 745 pens. I’m crediting the improved packaging with the increase in sales. All the inlay kits were coupled with a matching box, and by having a matching themed box, it made for a perfect gift! A vineyards inlay kit was coupled with a wine pen box, and a caduceus inlay kit was matched with a caduceus box. How these were presented made a big difference! The pens without a matching box took longer to sell than a pen with a matching box, and we also charged more for that product than just a pen. It’s a “no-brainer” to offer your higher end pens with a nice box. It increases sales! People ask me would I do it again and my answer is Yes, I would do it again!